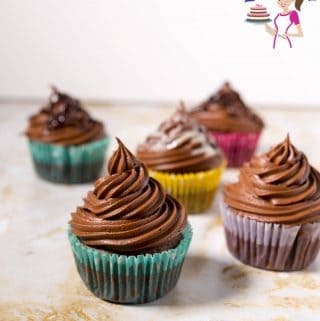 If you take the trouble to bake a delicious cupcake don’t just frost it with a mixture of butter, sugar, and chocolate. Isn’t that what chocolate buttercream is? Butter sugar and chocolate. Well, yes and no! 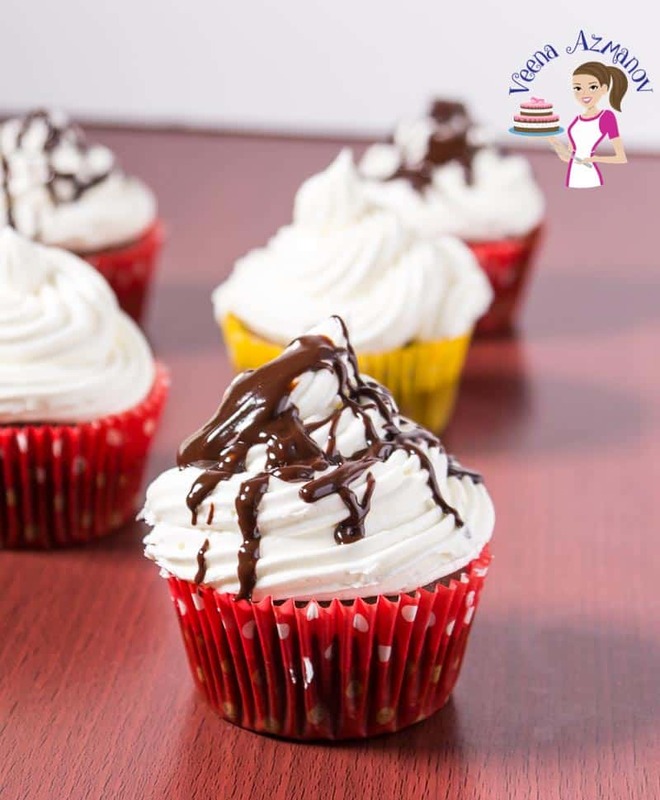 They may be just three main ingredients and yet, if you do it right it can be the best frosting recipe you have put on your cupcakes. I’ve said this before and I’ll say it again, often the difference between good and OMG is a little bit of extra effort. 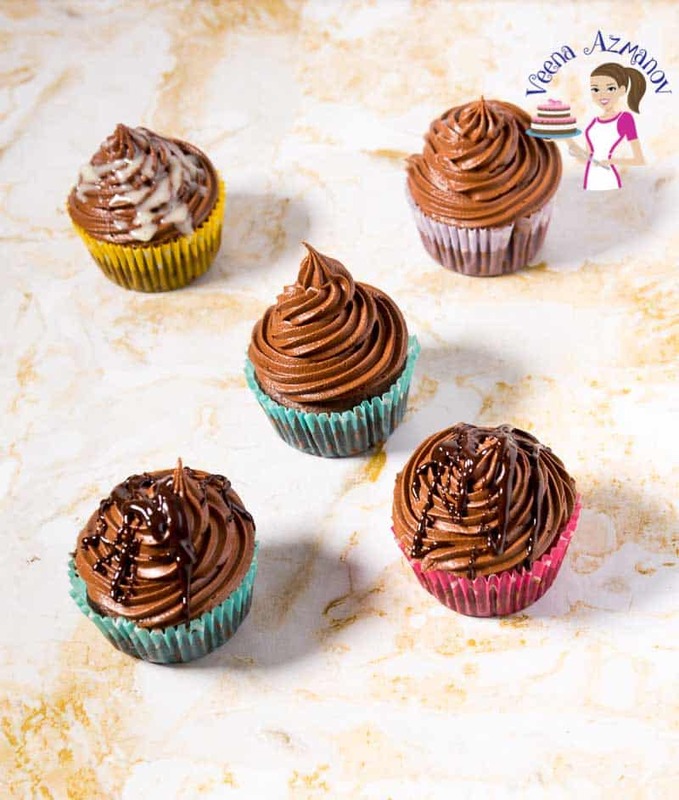 So today I share with you my way of making this chocolate buttercream frosting. It’s light, fluffy with just the right amount of chocolate. The trick is in whipping the buttercream so the whipped cream adds volume and stability. Also, the amount of chocolate is just right. So while it’s a decadent frosting it does not overshadow the cake or dessert. Ideally, you want to use no less than 54% chocolate. And yet, I have often used up to 90% chocolate in an effort to keep the frosting less sweet. 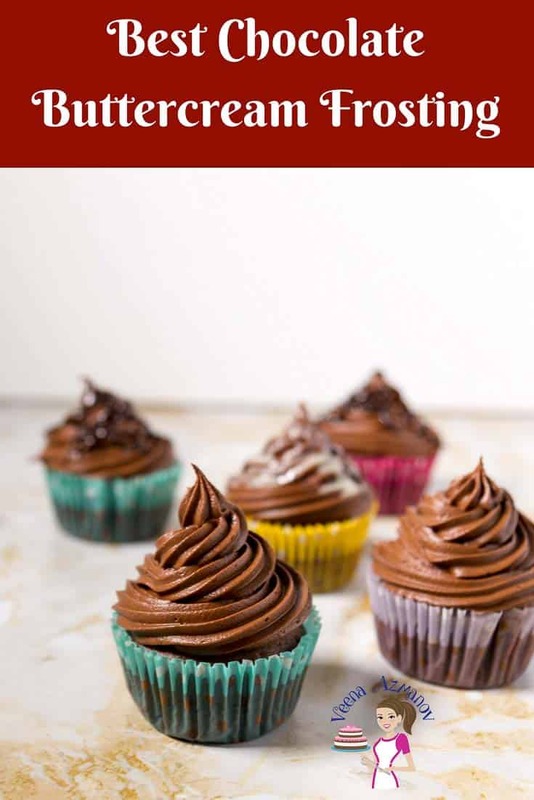 This works great for frosting cupcakes, cakes or dessert that needs chocolate buttercream. Also, this is a very forgiving recipe that works great with any chocolate – dark, semi-sweet, milk, or white. 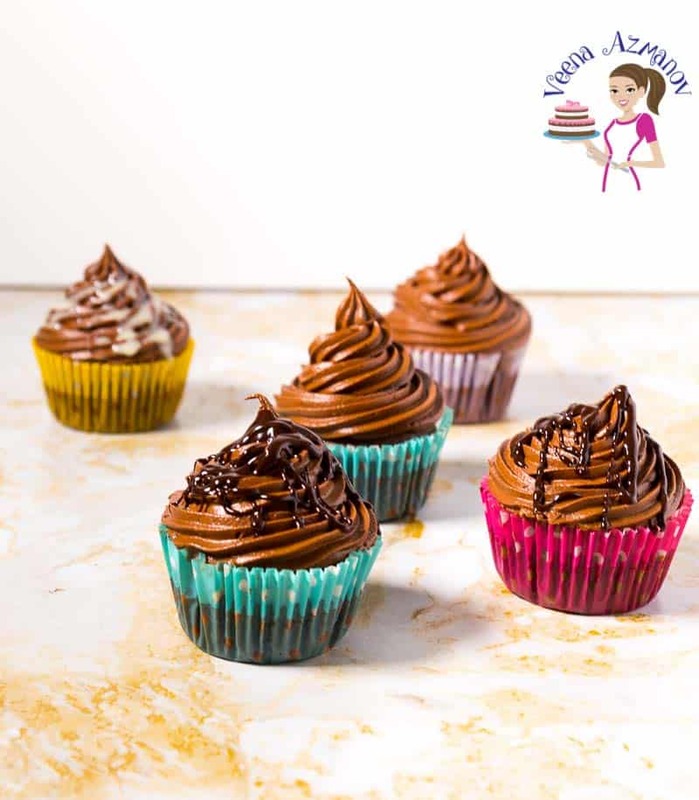 Chocolate Buttercream Frosting Recipe, Chocolate Buttercream Frosting, Eggless Chocolate Buttercream Recipe, Best Buttercream Recipe. Butter – I prefer to use unsalted butter so I can control the quantity of salt in my recipe. And yet, if salted butter is all you gave go ahead and use it. Just omit salt in the recipe. Powdered sugar – Also known as confectioners sugar or icing sugar. When looking for powdered sugar always buy one made from cane sugar, not beet sugar. 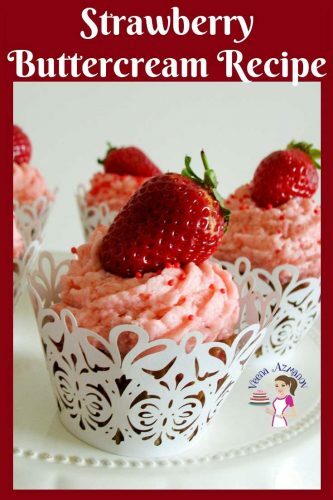 You will find the buttercream made from cane sugar does not have a grainy consistency. 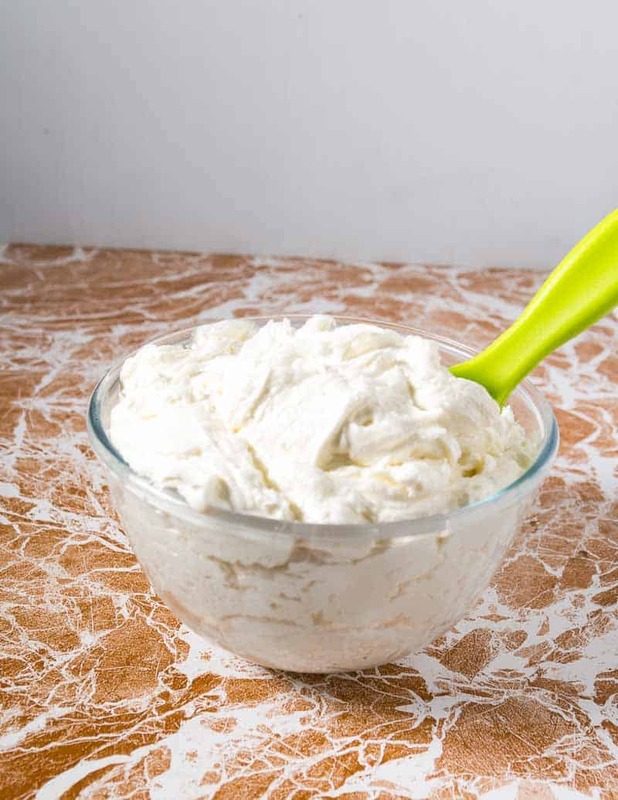 Fresh cream – Just a little but adds so much more. If you are unable to use the fresh cream I’d recommend using non-dairy creamer or just 2 tbsp of water. I like using 1/4 cup cream but if you need to pipe stiff borders useless it will keep the frosting stiffer. Chocolate – You can add more or use less chocolate in this recipe. It will affect the consistency and taste but in a good way. Like chocolate? Add more in quantity or a higher cocoa percentage. Vanilla – A good quality vanilla will make a huge difference in anything you make. Premium vanilla can be expensive, which is why I make my own homemade vanilla extract, bean paste or sugar. Personally, I believe in measuring ingredients by weight, which makes my kitchen scaleone of the most valuable items when baking. The same goes for mymeasuring cups and measuring spoons. It’s always a good idea to have these handy and use them when baking rather than trying to guess measurements. 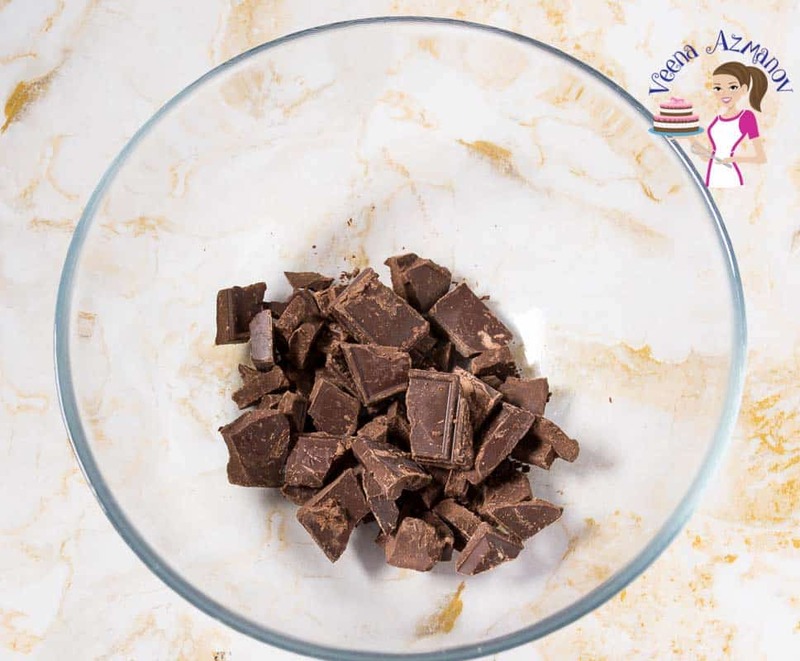 Melt chocolate in the microwave or double boiler – set aside to cool. Make sure the butter is room temperature not cold. Use a whisk or mixer and cream the butter for a minute. 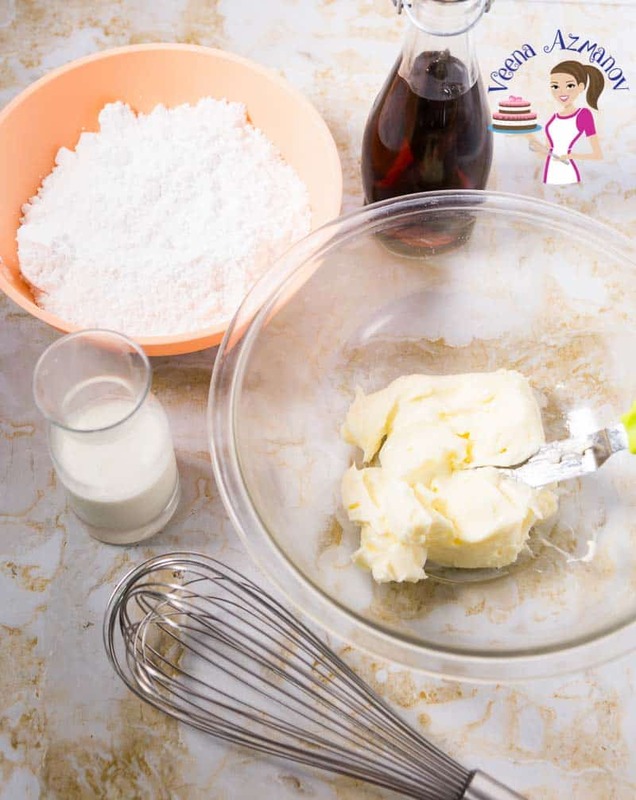 Add salt, fresh cream and vanilla – mix a minute longer, until well combined. Now add the powdered sugar one cup at a time. Continue to mix for 2 to 3 minutes more until you have a light and fluffy buttercream. The cream in the mixture will whip and give you almost stiff peaks. Lastly, add the melted cooled chocolate to the buttercream and stir well to combine. Do you need to top such a delicious buttercream? Ideally, for kids cakes, we would sprinkle some non-perils. And yet, if you ask me, I love a good drizzle of chocolate ganache over my chocolate frosting and my vanilla buttercream frosting. I think it looks prettier and more elegant. Probably more inviting too. These are my one bowl chocolate cupcakes with this chocolate buttercream frosting and a drizzle of my chocolate ganache (dark). 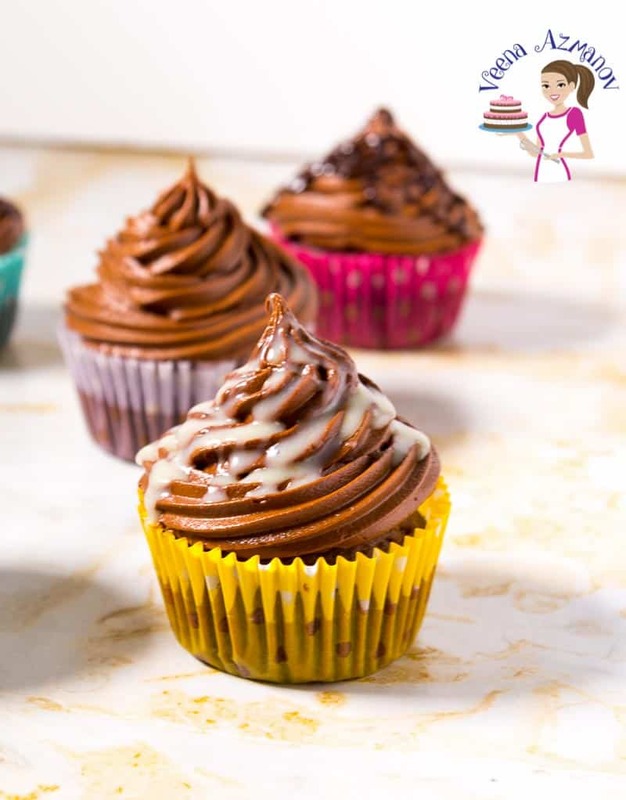 And these are the same one-bowl cupcake recipe with white chocolate ganache drizzled on this chocolate buttercream frosting. Need my recipe for the BEST Vanilla Buttercream Frosting? A must try with video tutorial as well. 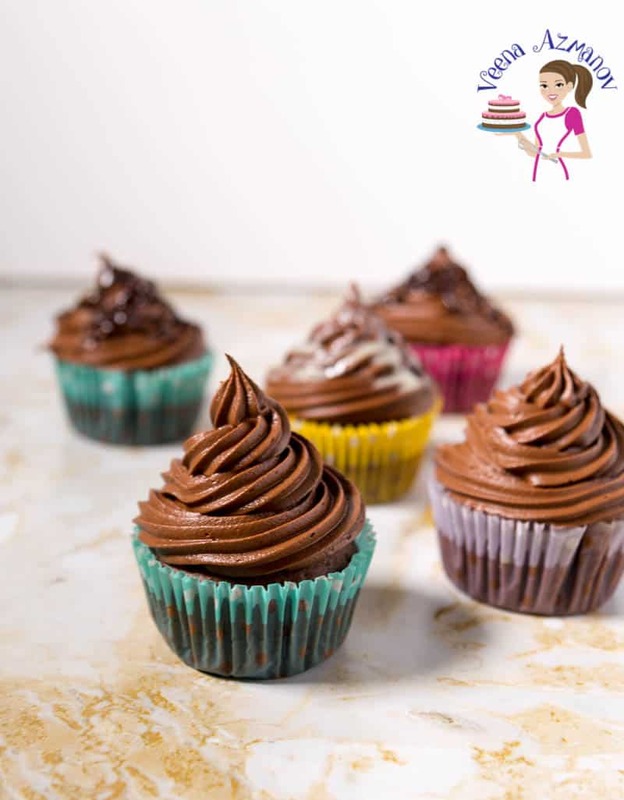 A good chocolate buttercream frosting can be a dream over cupcakes, cake, and desserts. Especially when it's light, fluffy with just the right amount of chocolate. 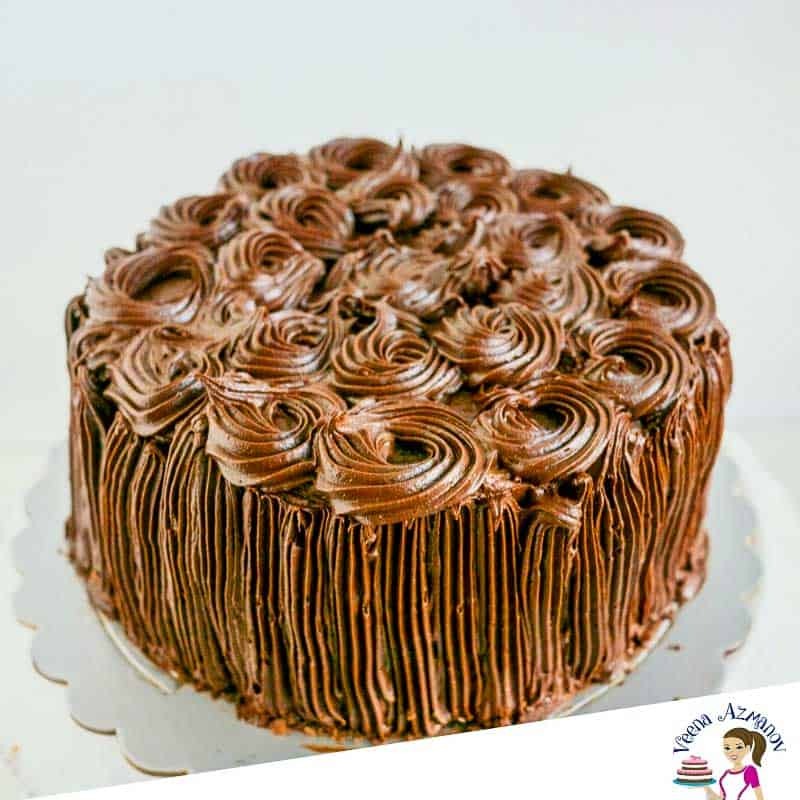 Today I share with you my secret to making the best chocolate buttercream recipe with this step by step video tutorial. Melt chocolate in the microwave or double boiler - set aside to cool. Add salt, fresh cream and vanilla - mix a minute longer, until well combined. Once all the powder sugar has been incorporated. Omg! This buttercream is a dream come true. I am not kidding Veena. I usually make swiss buttercream but I was in a hurry and came across your page. I could have eaten the whole bowl(but I didn’t)last night and robbed my cake! Such an easy recipe to follow and the results were just outstanding. Looking forward to all you offer your followers. Thank you so much, Mary. I am so happy to hear you enjoyed this so much. I do love this recipe myself. Thank you for the recipe. Can I substitute the melt chocolate with cocoa powder. How much will be the measurement for cocoa powder to use? Thank you so much Veena. Will try soon. Thank you Veena for this recipe, seems so delicious & yummy. Please recommend is there any substitution for cane sugar as it is not available at my region? Also can I use this butter cream as filling and cover for my cake?? Thanks, Rasha. 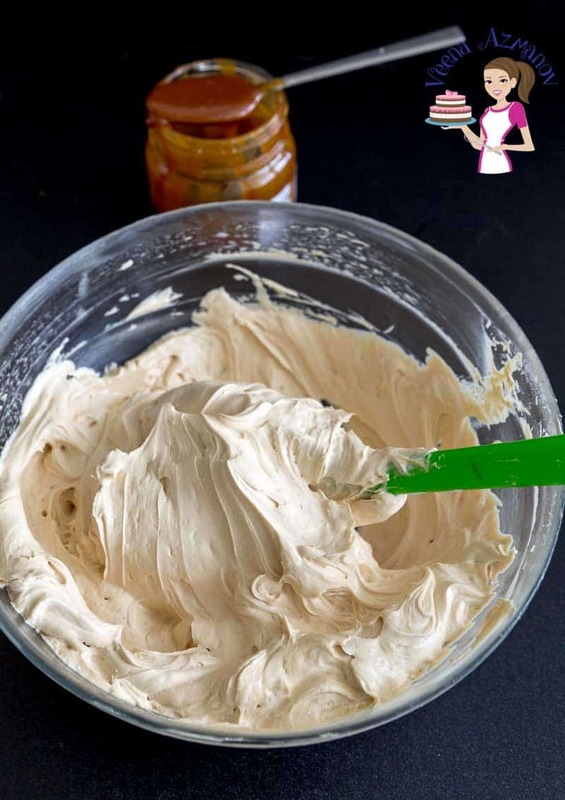 You can use this buttercream for filling and frosting cakes and cupcakes – inside and outside. You can use whatever powdered sugar you get where you are – if possible find a one that’s made with beat sure. If not well, just use what you have. Hope this helps. Many thanks for quick reply. Appreciate a lot your valuable time. You are very welcome Rashna. Wow I just found your recipes and these look amazing! It’s so hard to find all butter buttercream recipes! If I wanted this to crust, do I just add a little less cream? Or would it not crust? Thank you, Tammy. A good frosting does take dessert to the next level. 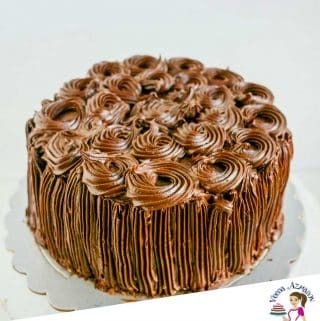 When I bake cake for my son’s birthday next time, I will keep in mind this chocolate butter cream frosting, it looks so creamy and delicious. Thanks, Swathi. yes, you must try this one.. you will really enjoy it. I absolutely love that you’ve developed an egg free buttercream recipe. 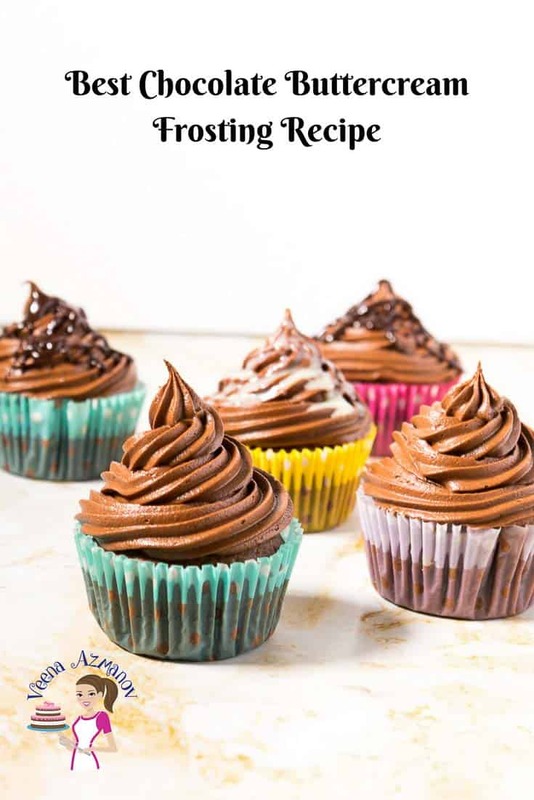 So many egg allergies nowadays but with your recipe, they will still be able to enjoy frosting. Thank you Alexis. I always had this recipe on the blog!! It’s been on the blog since 2011 I think. Only difference is that earlier the Vanilla and Chocolate were together on the same post. Now I separated them so I could share the videos for them both. Glad you finally saw it. Enjoy! 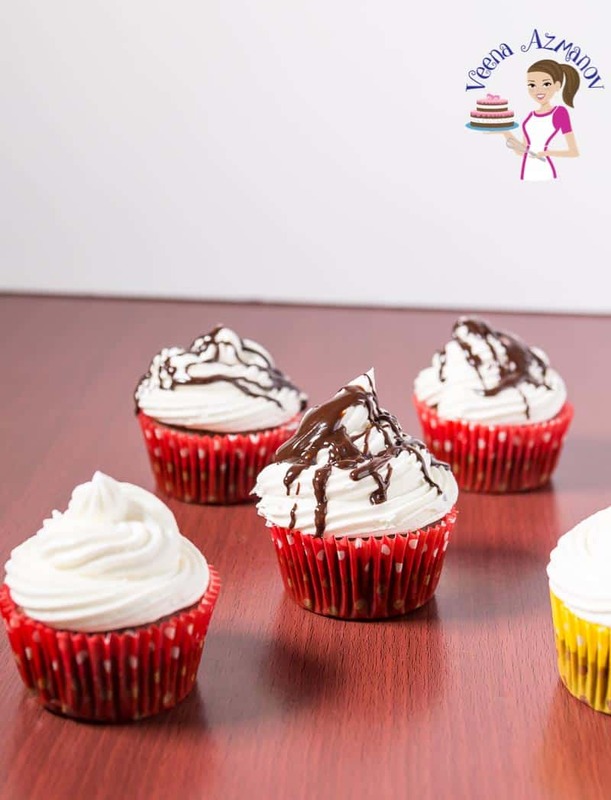 Oh my God that frosting looks killer!My kids love cupcakes and what could be better than with frosting delicious as this one! Thank you, Jyothi. Yes, your kids would love this. Thank you so much, Melissa. I know exactly what you mean. I have been there which is why I write my post the way I do. You are really getting me in the mood to bake. I can’t believe all the amazing frostings that you have. I know that your Swiss meringue is going to be at the tope of my list. Have you ever used Vanilla paste? Once I start baking again I want to get some. Thank you, Marisa. I know the frosting is delicious. You will love it. I love using vanilla paste. In fact, I do homemade vanilla extract, bean paste, and sugar. Oh Veena can you send me some of these delicious cupcakes?! Yum! That buttercream frosting looks PERFECT! I’m seriously craving this right now. Aww, I so wish you were closer to me, Natalie my sweets. You would love these. This frosting is to die for. 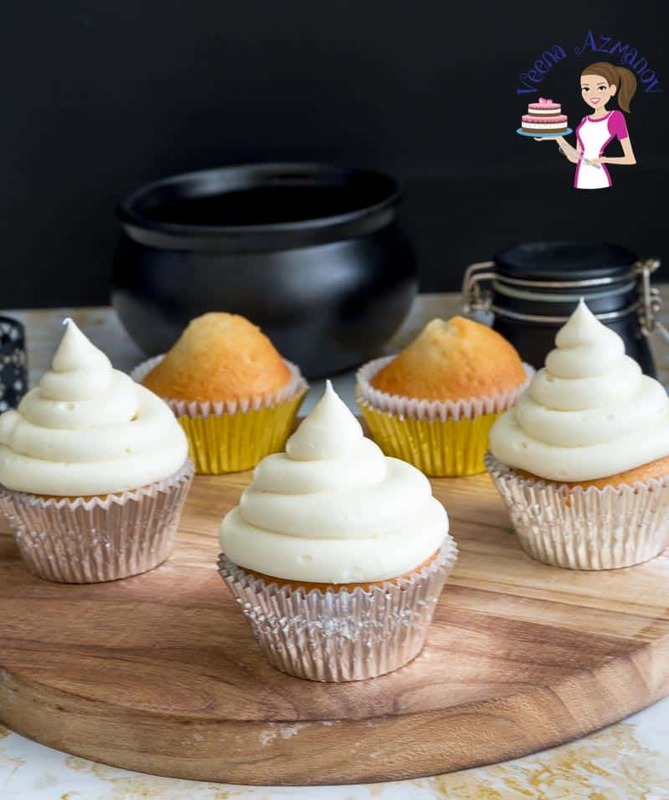 Talk about a classic … butter cream icing! I’ve never tried making it, but this recipe sure seems to take all the guesswork out of it. And who doesn’t love chocolate icing?! Thank you, Noel. You will love this frosting. Real simple, easy and effortless. Thank you, Claudia. Yes, this frosting is really delicious and I love licking the beaters off myself. My kids have been asking me to make such frosted cakes. Yours look so lovely. Btw, I am a huge fan of your works Veena!I really love the way you put everything together clearly that even a novice will find the recipe easy! Thank you so much, Padmajha. So happy to hear that my method and recipes encourage you to try the recipes. Do let me know if you try my recipes. Always love feedback. Well, I have a couple of chocoholics in the house. This would be the perfect icing for their birthday cupcakes or birthday cakes. I know they would also love this on brownies too. Absolutely, Gloria. This would be perfect over cakes, cupcakes, and brownies too! Buttercream icing is very popular in our area. Yours sounds easy to make and looks as good as any that I’ve seen in a store. Thanks, Valerie. I think you will love this one.